BHR Hollywood Reports........Rapper 50 Cent has been caught on camera slapping a women in the crowd at one of his concerts, Then invites her on stage to dance. 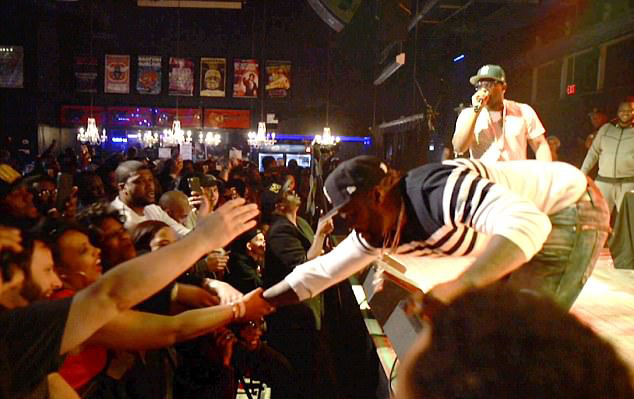 The incident happened in Baltimore when the rapper was seen walking to the edge of the stage and grabbing a female fans hand. The women who was holding on a little bit too tight pulled 50 off stage. He reached by punching her in the chest. feeling bad, 50 invited the women on stage to dance with him. "Tell her to come here. 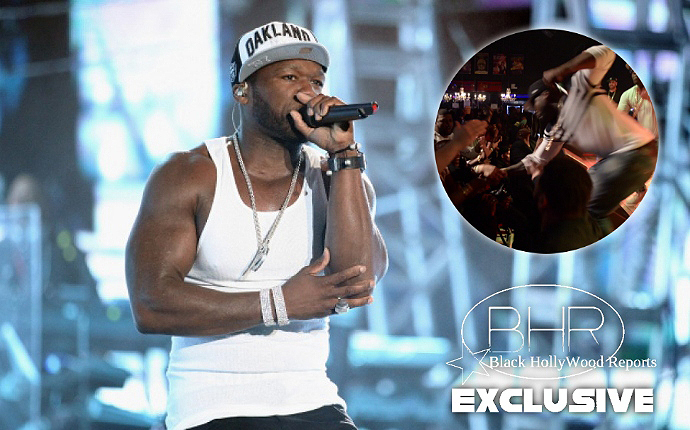 Tell her to come here, 50 cent said as his team lifted the women on stage. He then hugged and whispered something to the women ear. she was soon spotted twerking alongside 50 as he performed . 50 cent has yet to respond to the incident ..